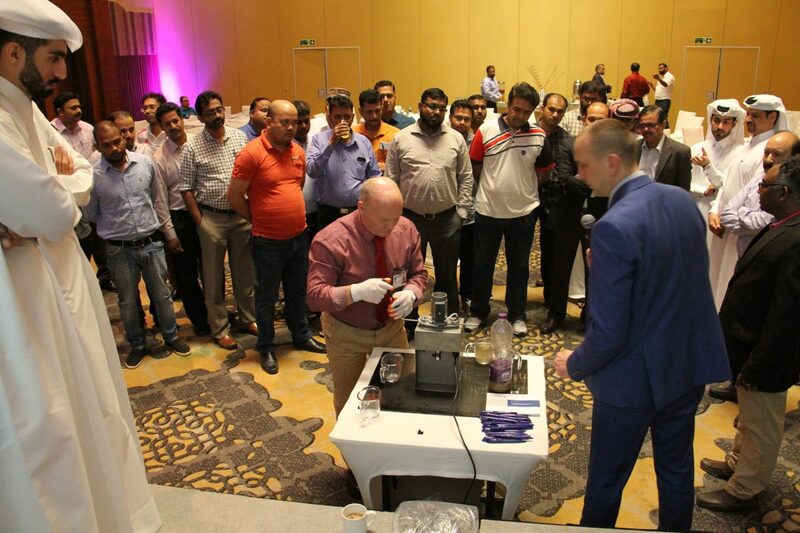 GlobeCore Regeneration Equipment Presentation in Qatar - ! Equipment for Transformer Oil Reclamation. GlobeCore. 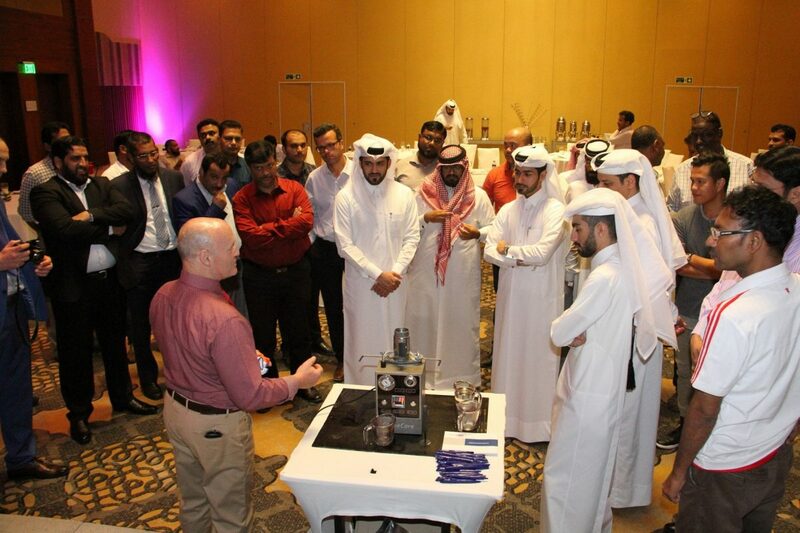 GlobeCore representatives visited Doha, Qatar, to showcase the company’s equipment for regeneration of electrical insulation oil. 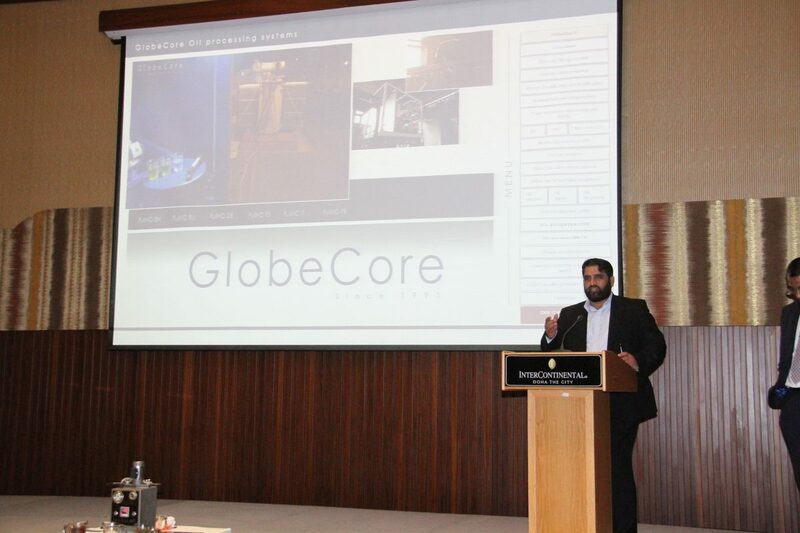 The presentation’s objective was to familiarize representatives of the Qatar electrical power industry, including KAHRAMAA (Qatar General Electricity & Water Corporation), which supplies the country’s population with power and water, with the capabilities of GlobeCore equipment. Also were present the representatives of Al Dana Switchgear company (A Subsidiary of AALCO Group) which were the co-organizers of the event. 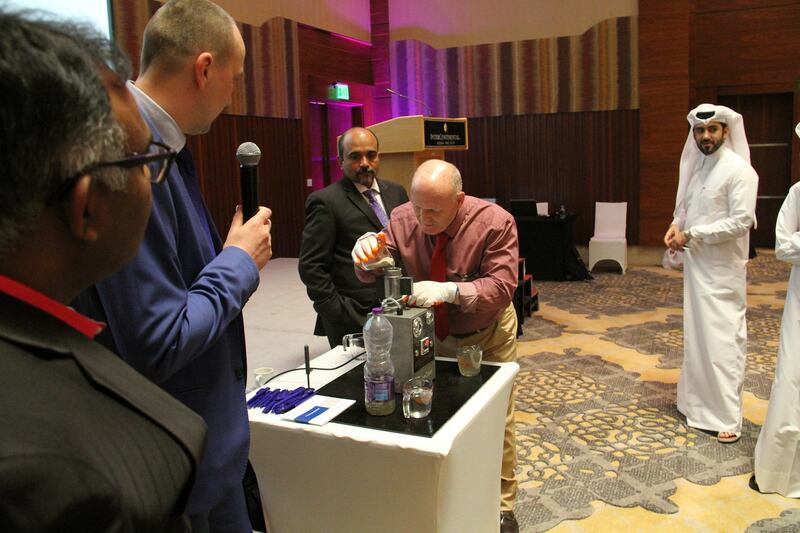 The attendees were presented with the equipment for purification of used electrical insulation oil to remove particulate matter, gases and water. 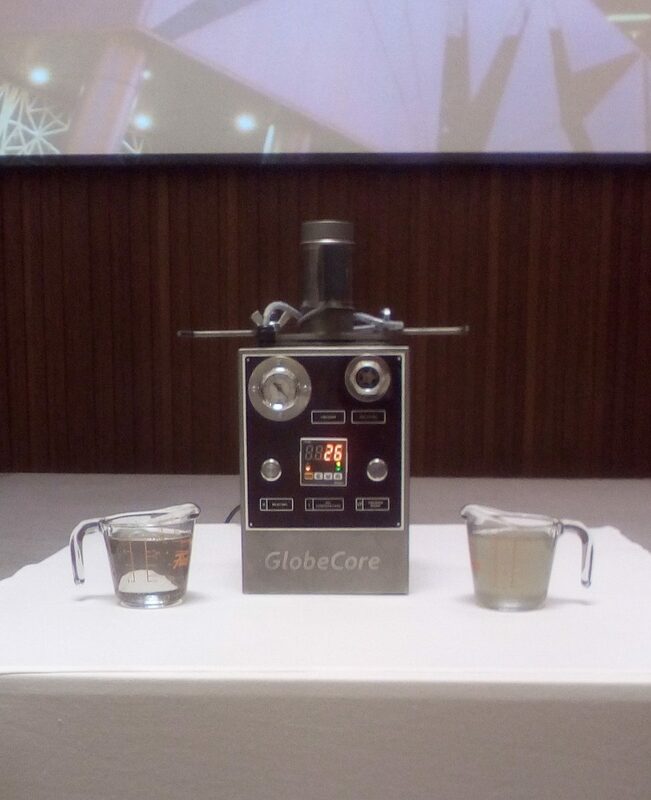 After the initial familiarization, GlobeCore specialists demonstrated how contaminated oil is purified by a CMM type demonstrator unit. The processed sample came out much cleaner, without visible impurities. 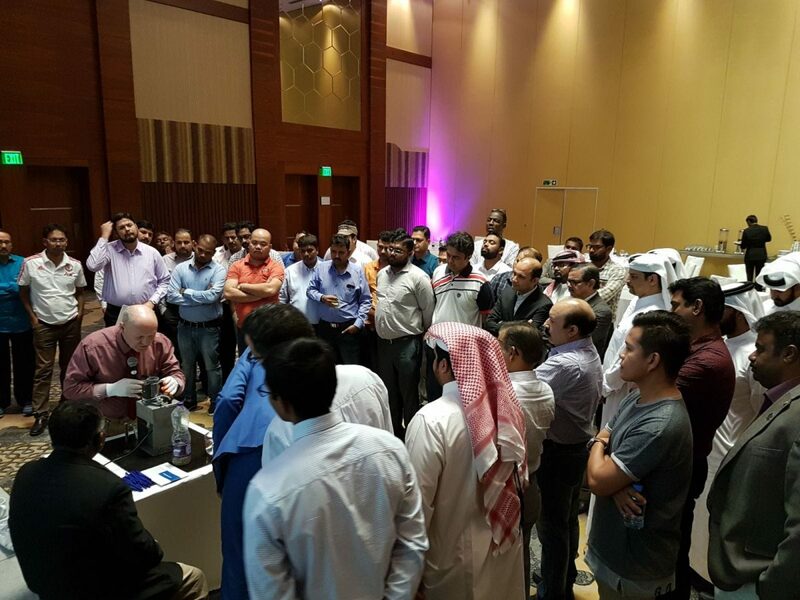 Our colleagues from Qatar were also able to speak with our experts and ask them questions regarding operation of GlobeCore equipment. 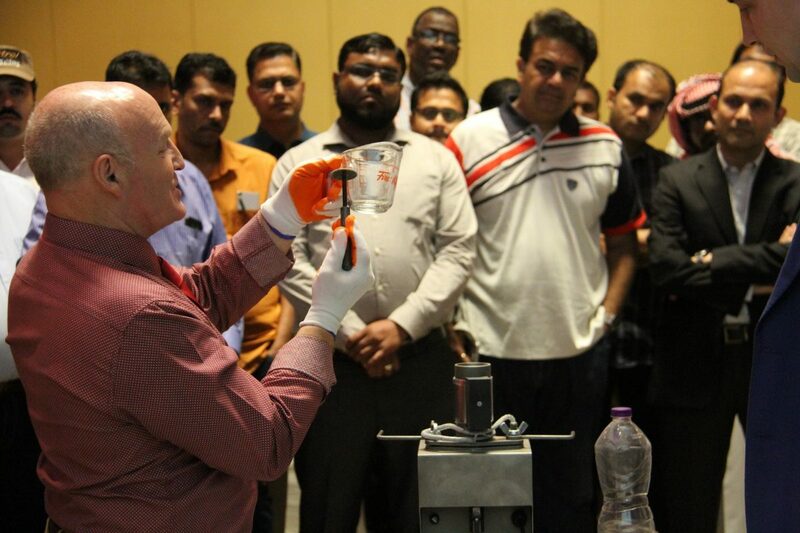 Some of the participants showed interest in the product; talks of extended cooperation is now underway. 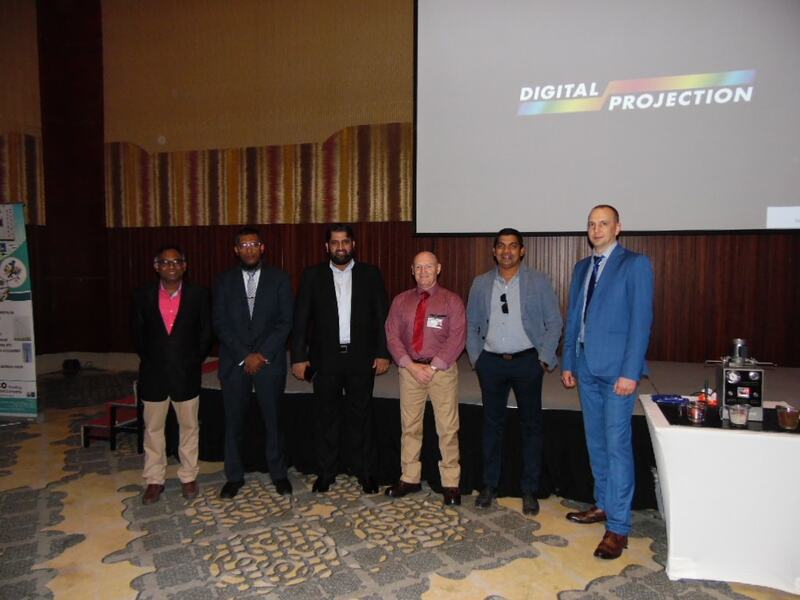 We would like to specifically thank the management of Al Dana Switchgear (A Subsidiary of AALCO Group) for their assistance in organizing the event.